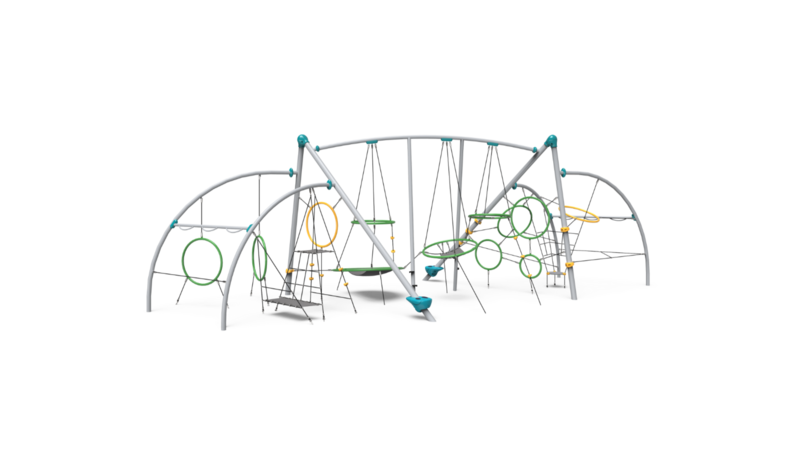 At the heart of the Unity Collection, Connect serves as a playground focal point and destination where kids can meet and move. 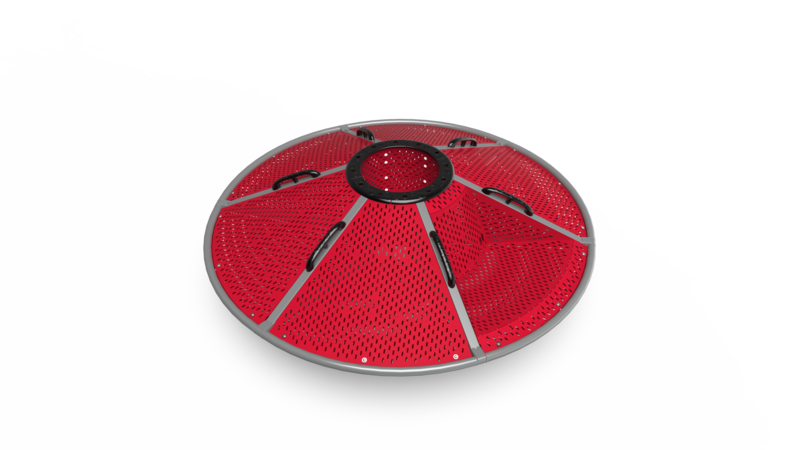 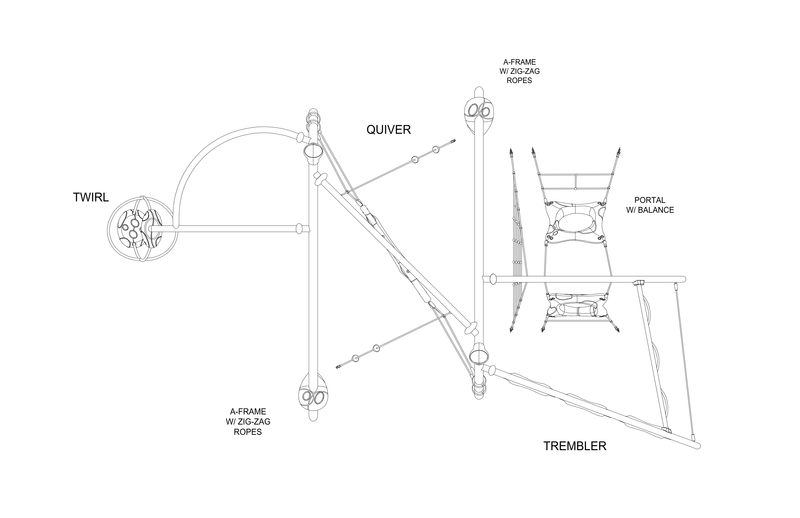 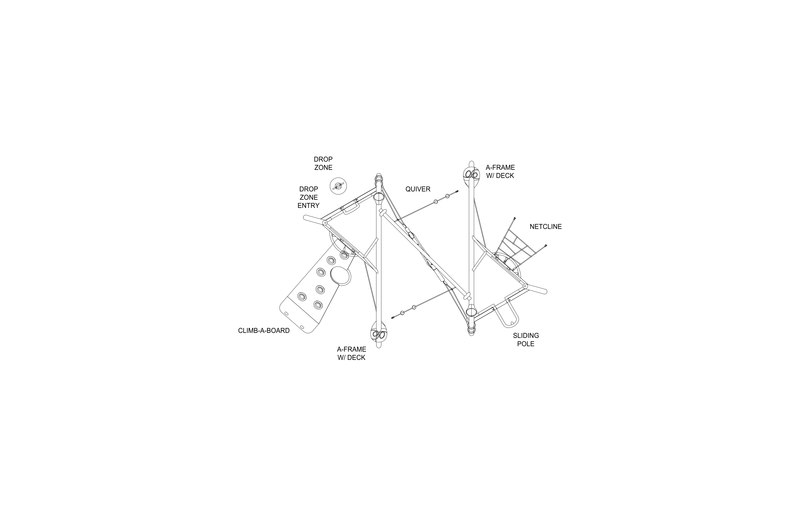 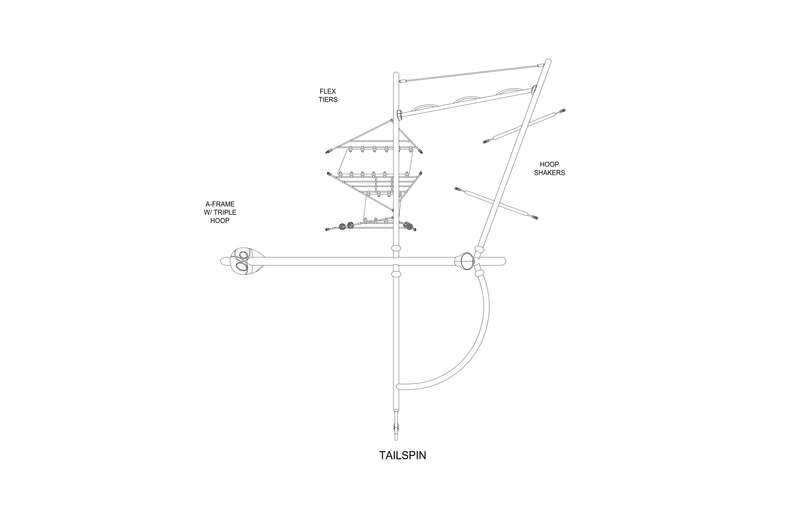 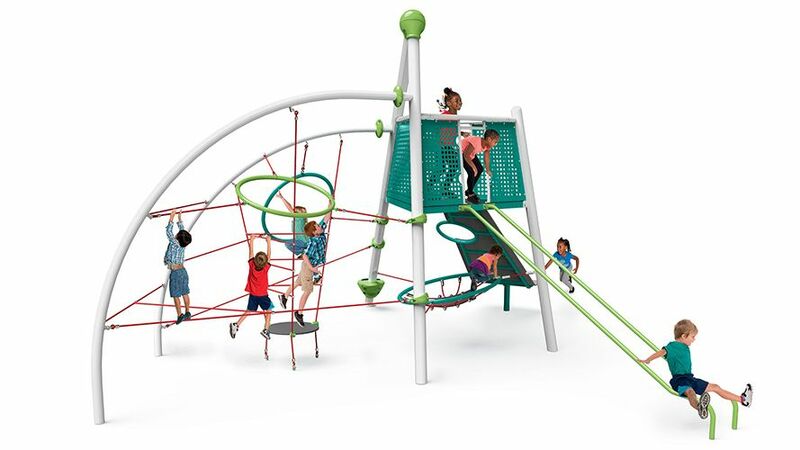 The best of both worlds—combine the familiarity of a deck with new, open-ended ropes and hoops all under a single A-frame. 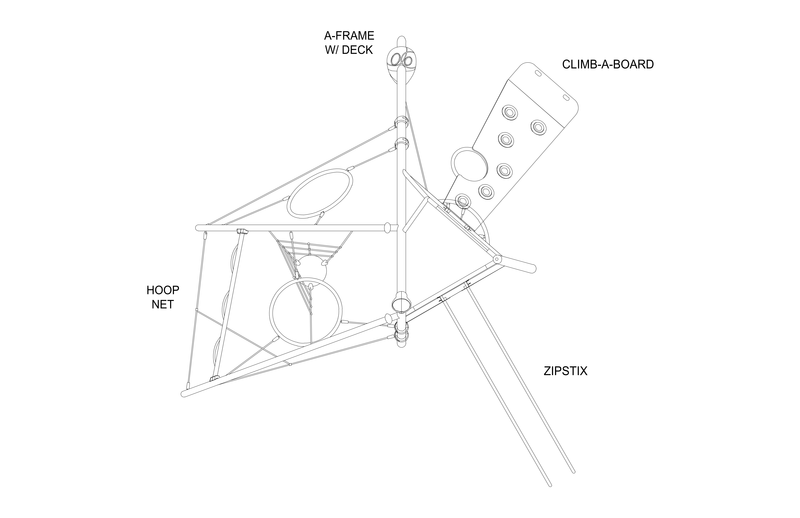 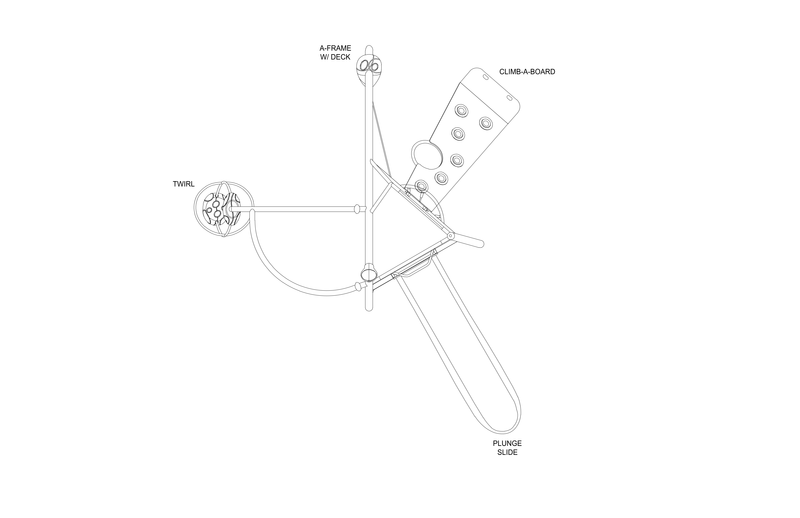 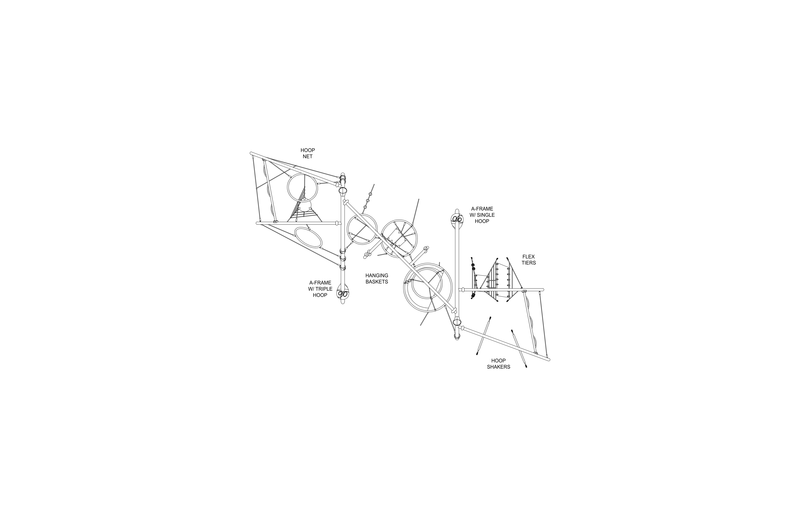 Two A-frames with triangular decks and a rope-based middle component offer various levels of challenging play for everyone. 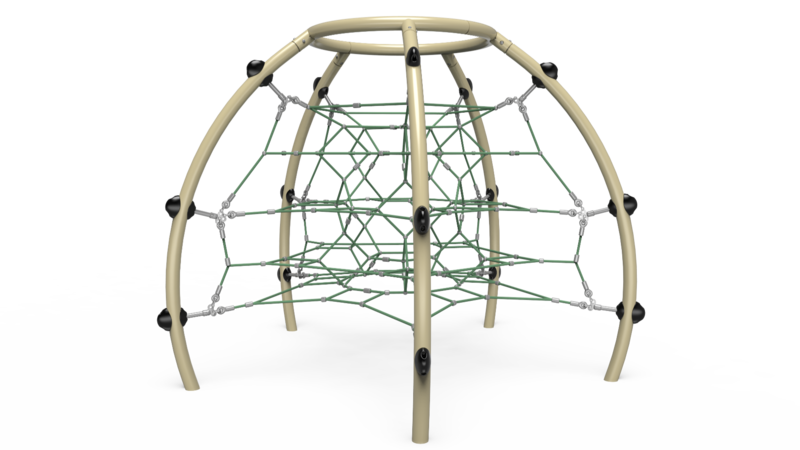 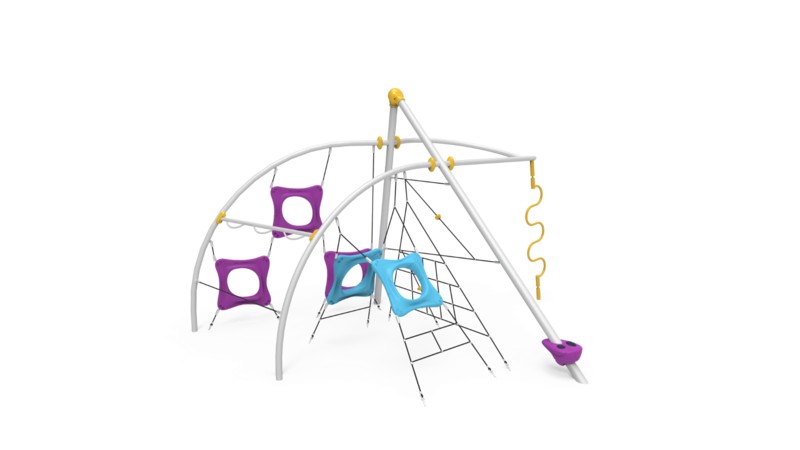 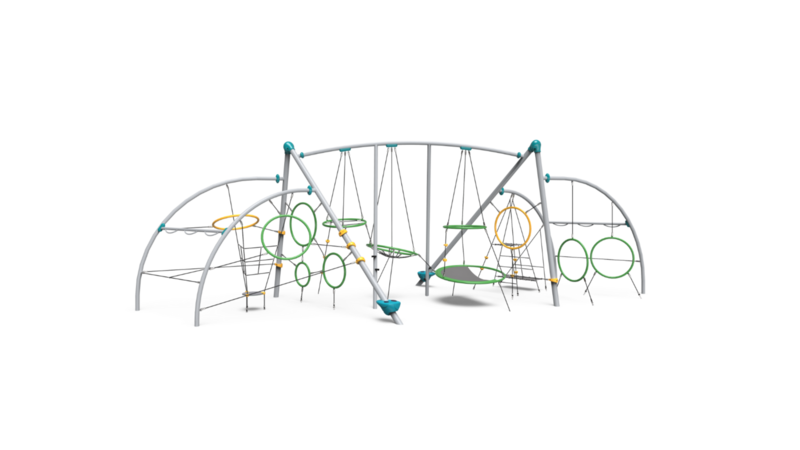 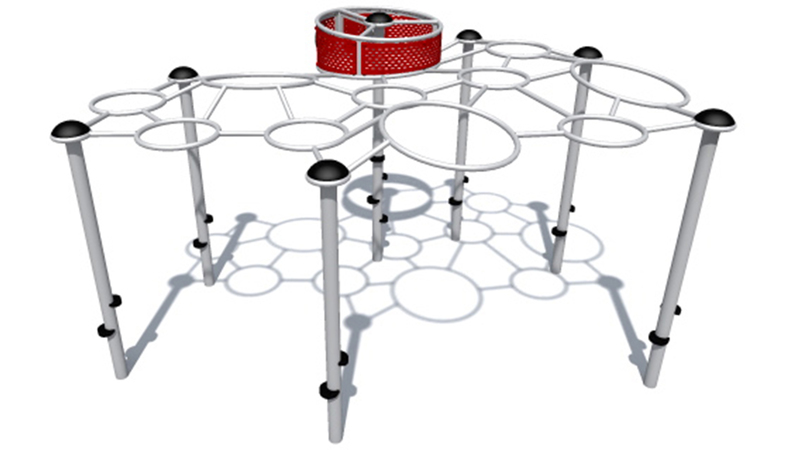 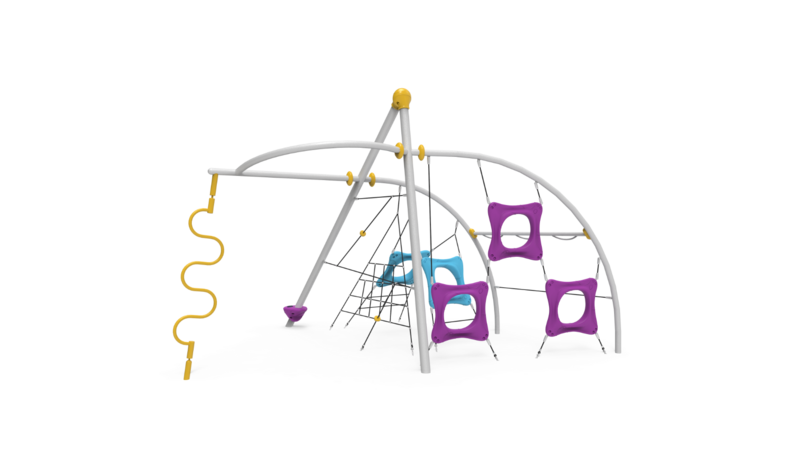 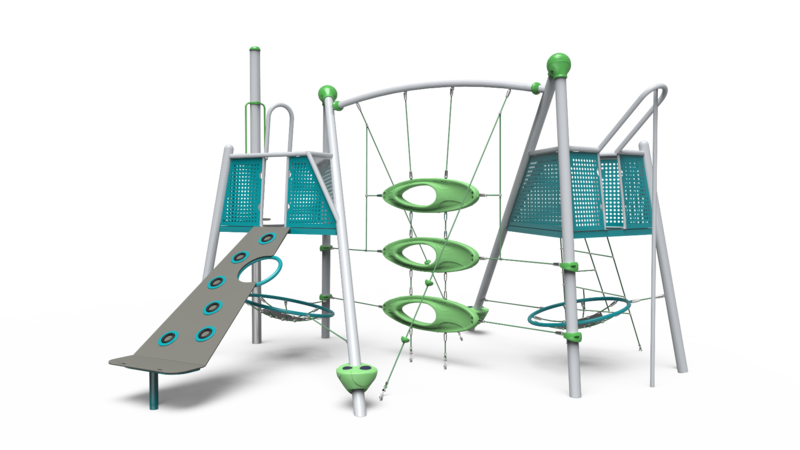 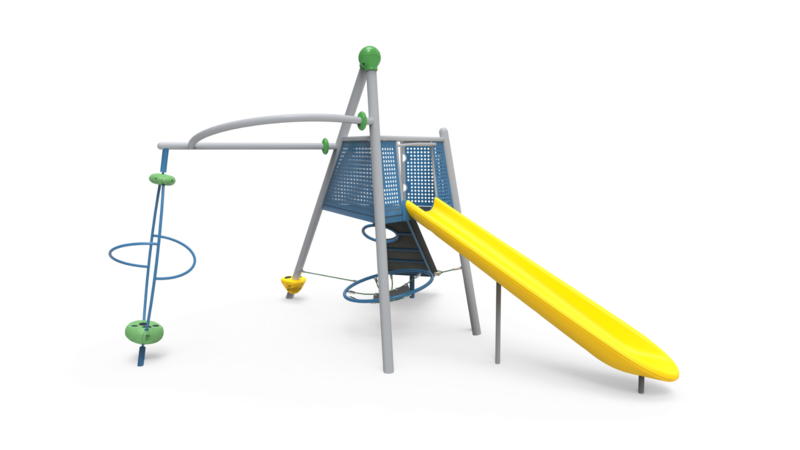 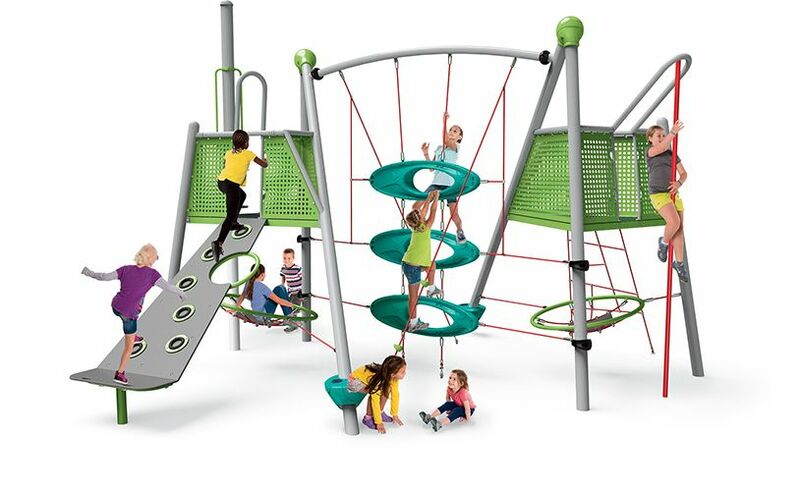 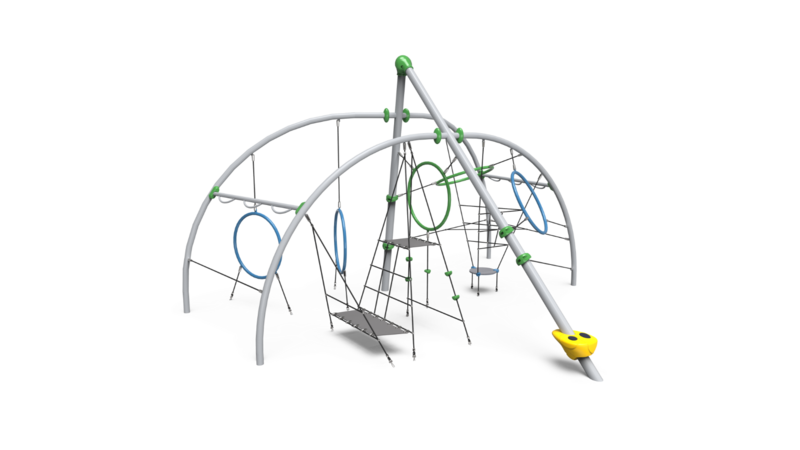 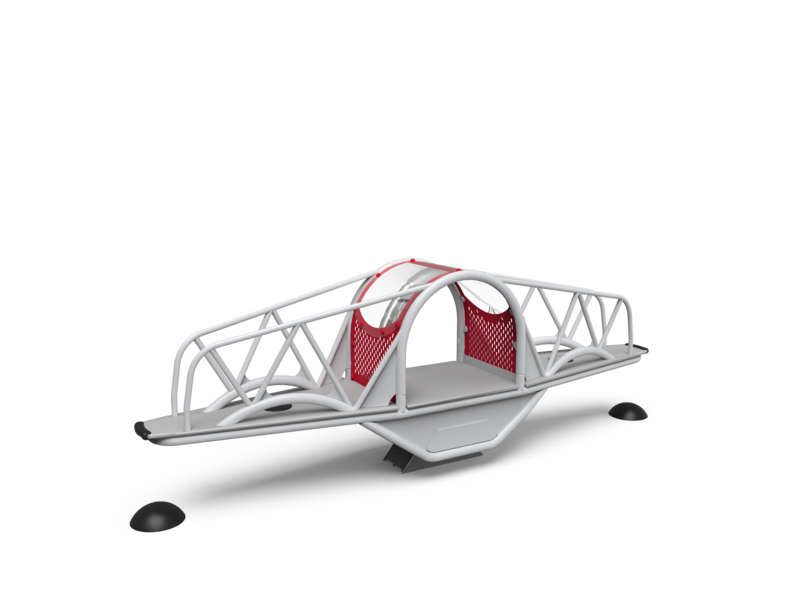 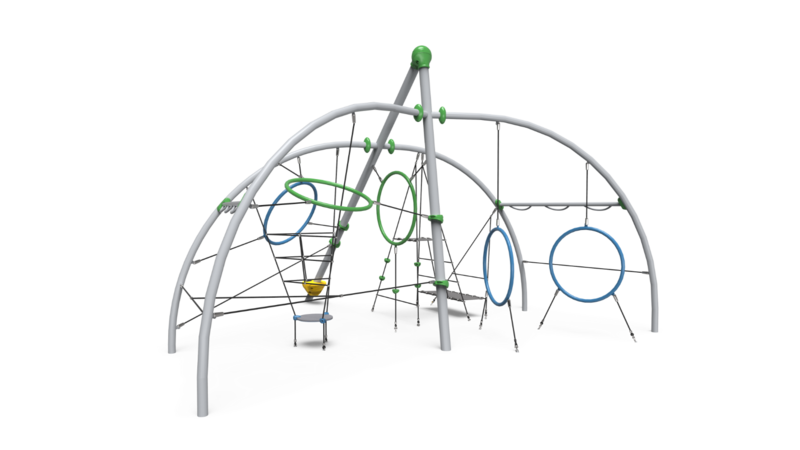 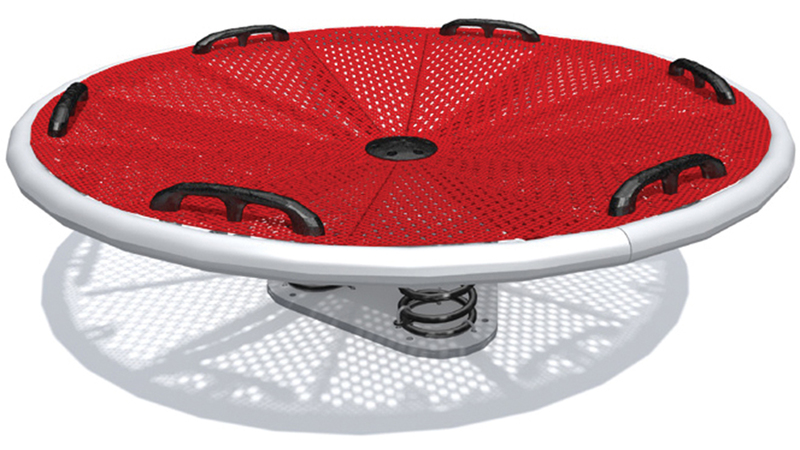 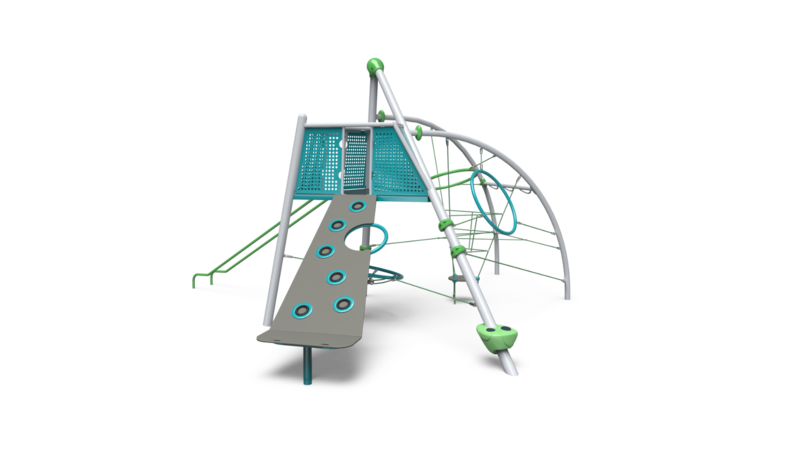 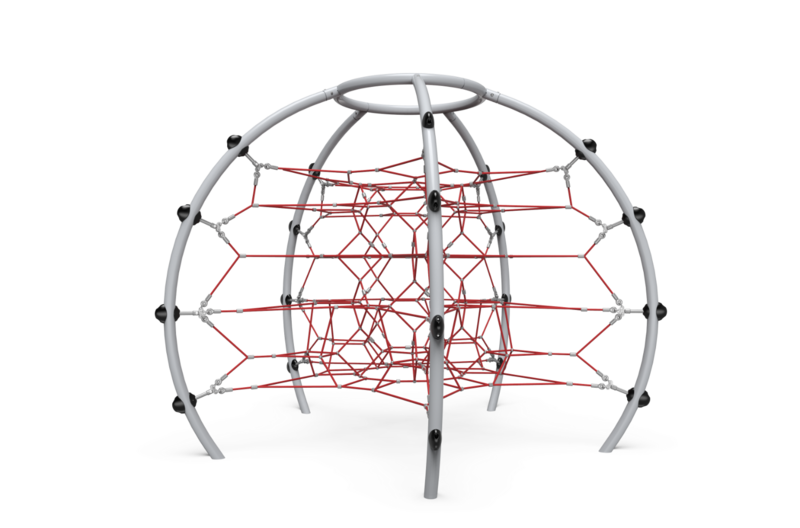 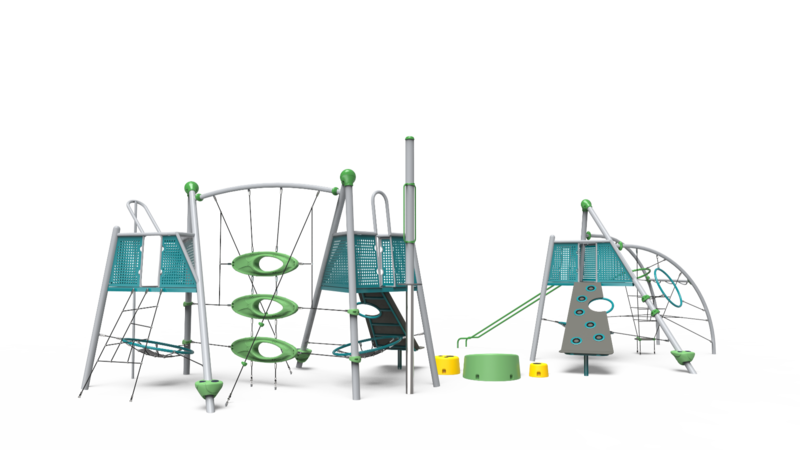 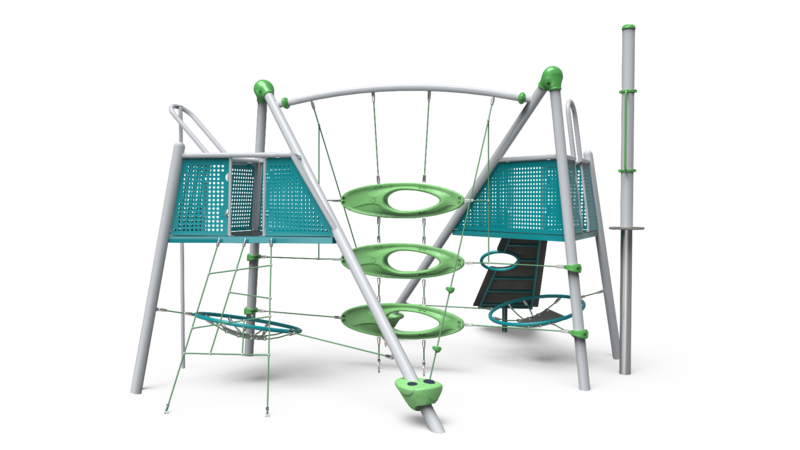 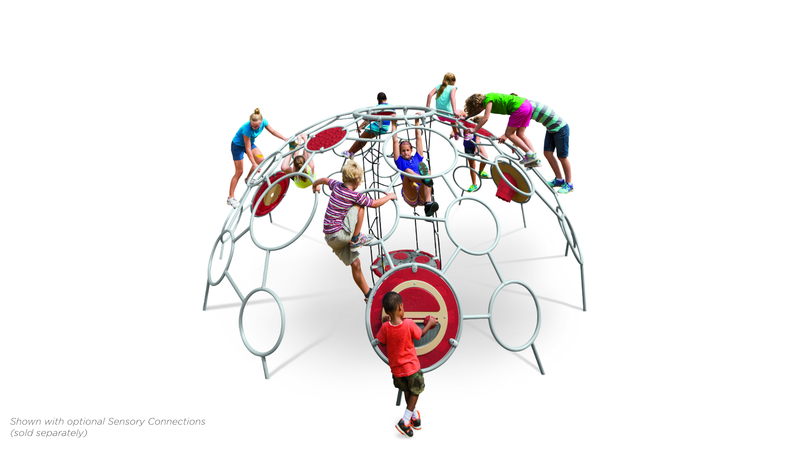 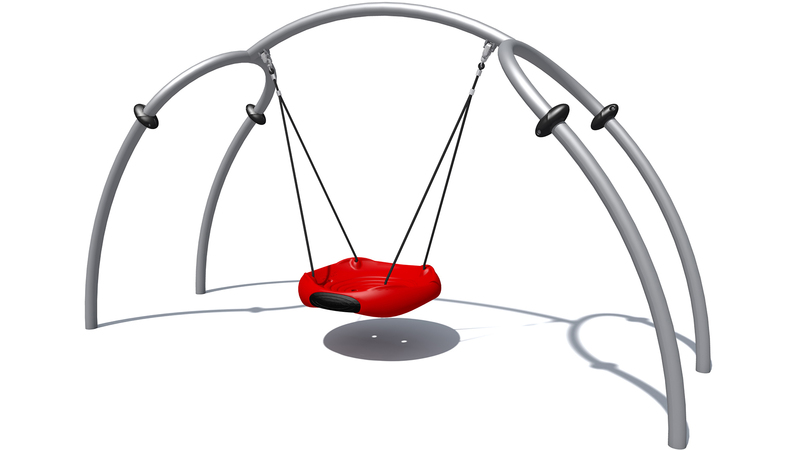 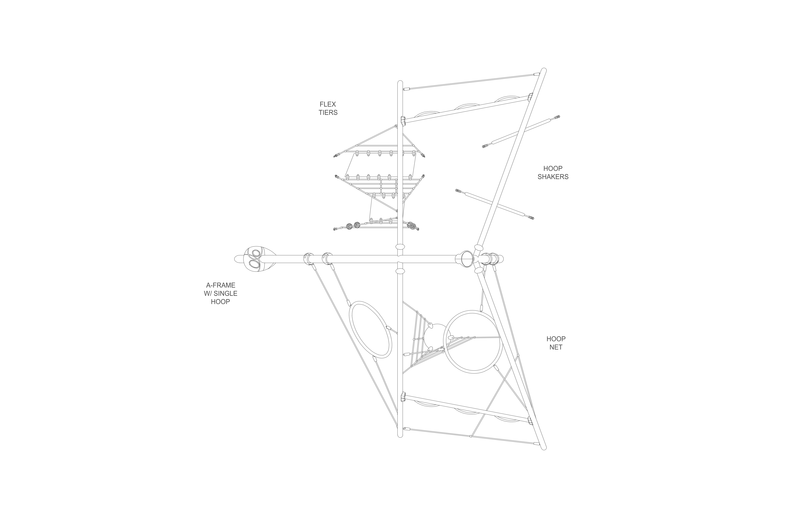 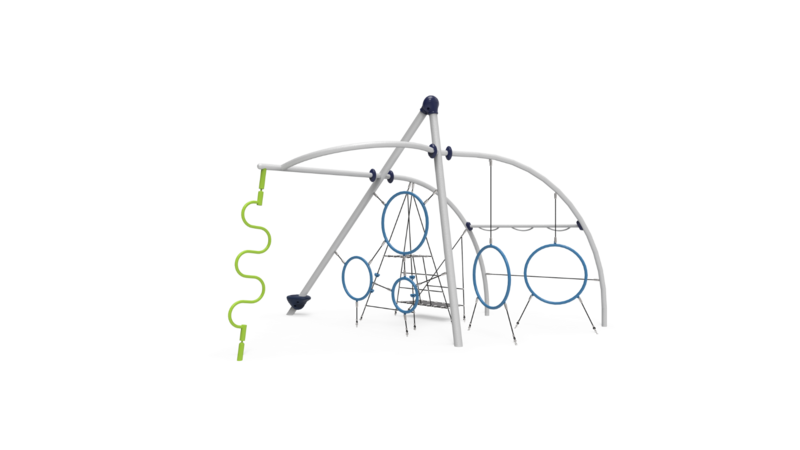 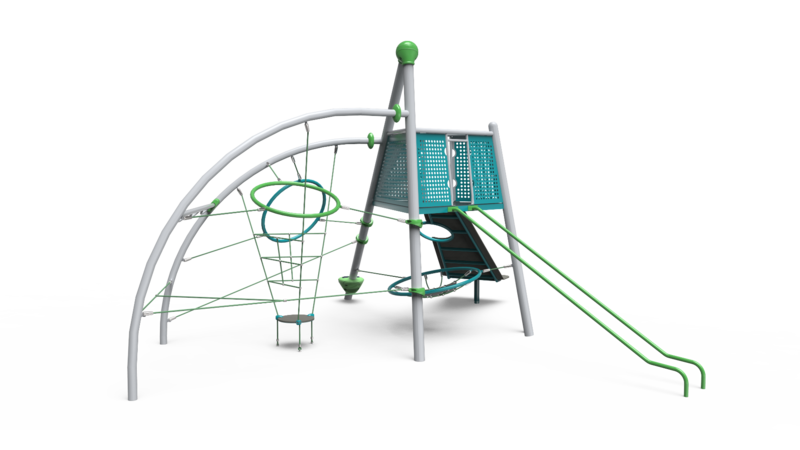 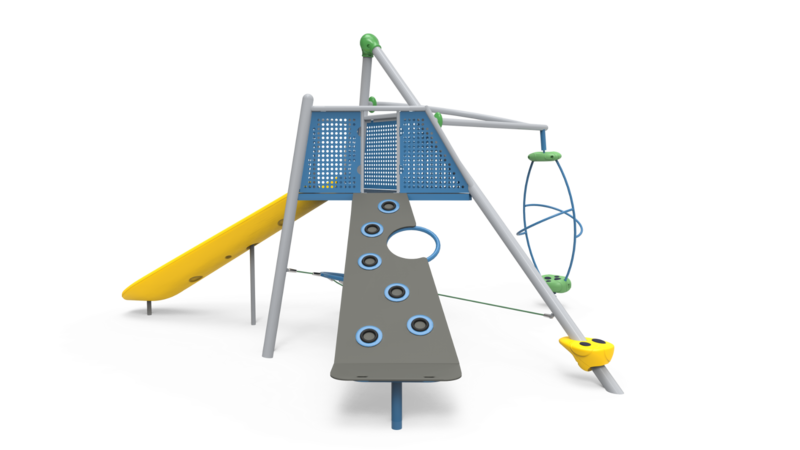 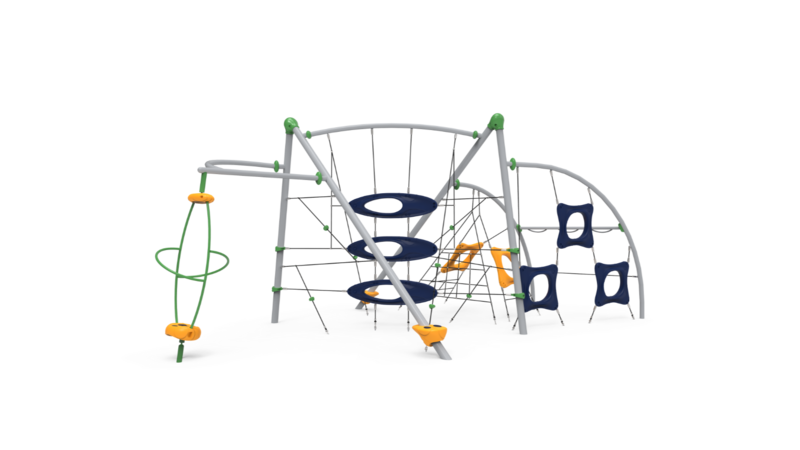 This expansive structure maximizes child capacity and play value with places to climb, spin, slide, hang, sway and relax. 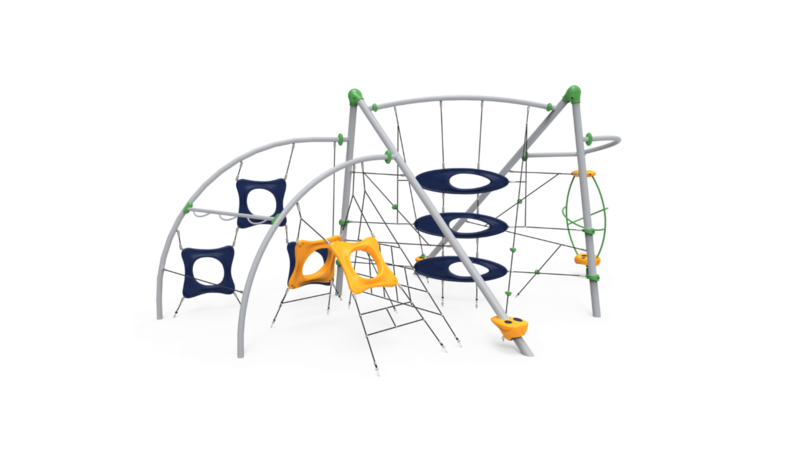 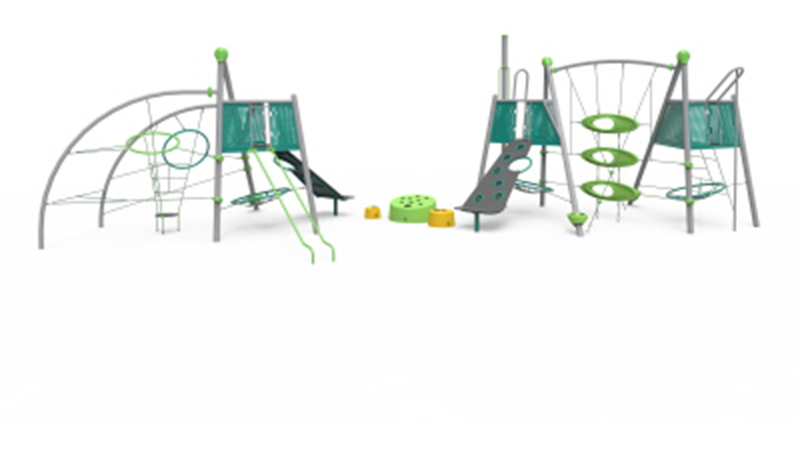 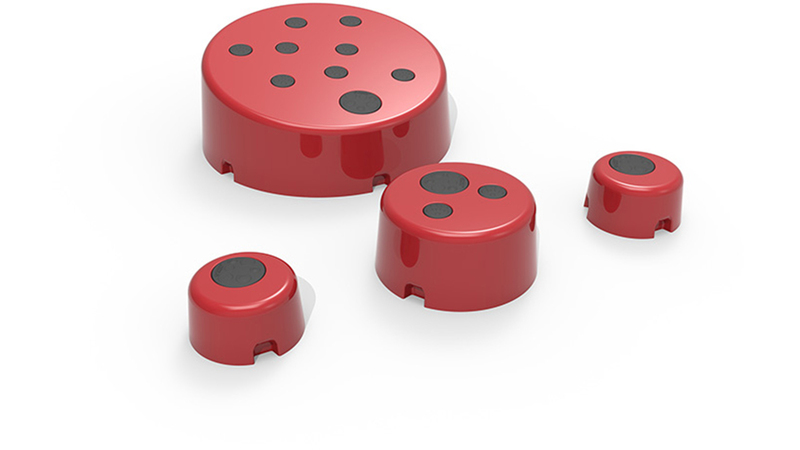 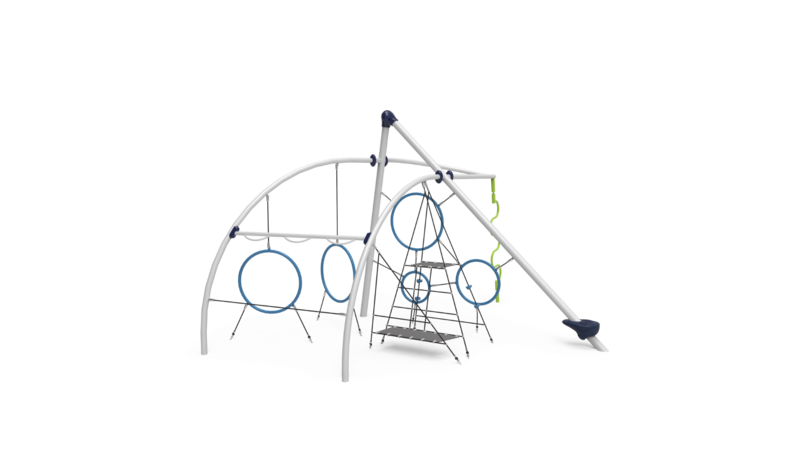 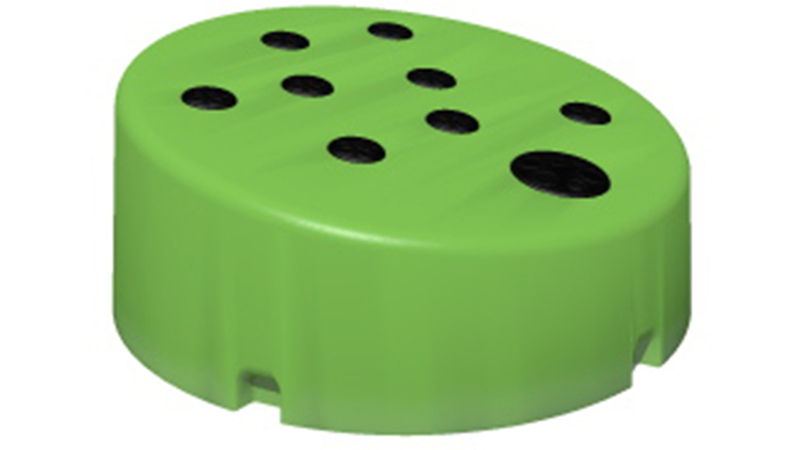 The collection continues with twists on the classics of freestanding play—reimagined to promote even more interaction and cooperation.